← Zooma Texas Half-Marathon – I did it! I’m back from my brief blogging hiatus (okay maybe not so brief!) 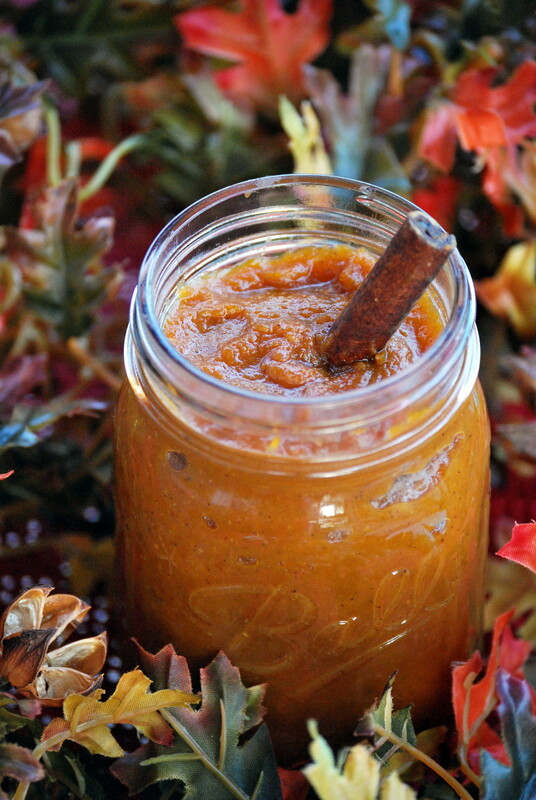 to share with you my favorite new fall recipe. I’ll be posting a running update soon, but for now I wanted to start with the simplest recipe in my book this season! It’s no secret that I love all things pumpkin, and pumpkin butter (recipe here) is a staple in my fridge all fall. A couple months ago, I saw an intriguing salmon recipe that only included two ingredients: fruit jam and salmon. I thought it would either be horrible or surprisingly good, and it ended up being delicious. 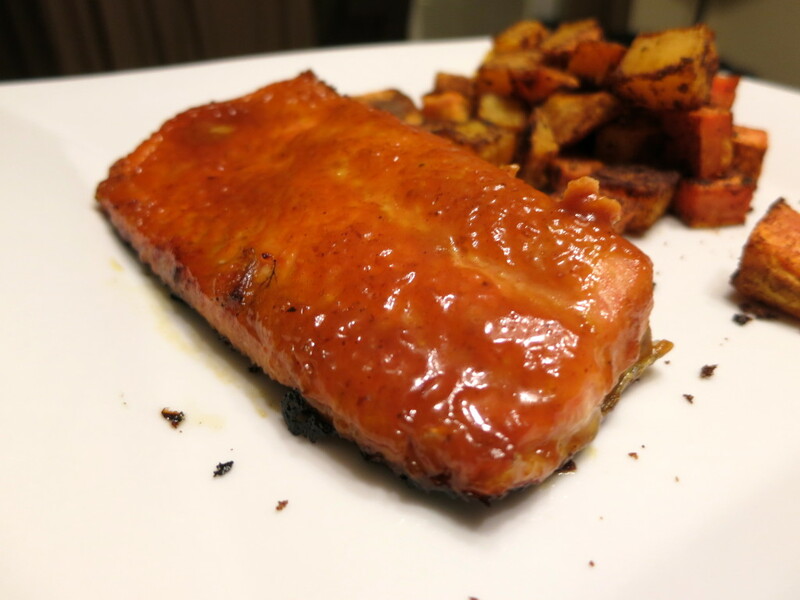 When pumpkin butter started making its rounds into everything in our kitchen, I thought – why not try it on salmon! It may sounds strange, but the flavors combine perfectly. You just spread pumpkin butter on salmon and broil or bake it for a few minutes. You can’t get much simpler than that! 1. Spread the pumpkin butter evenly over the salmon. 2. Broil the salmon for about 5 minutes, or until cooked through (you can also bake it). 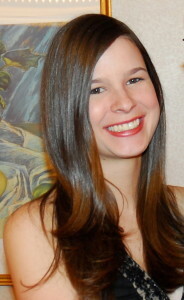 This entry was posted in Fish, Gluten-free, Recipes, Uncategorized and tagged fish, pumpkin, salmon. Bookmark the permalink. 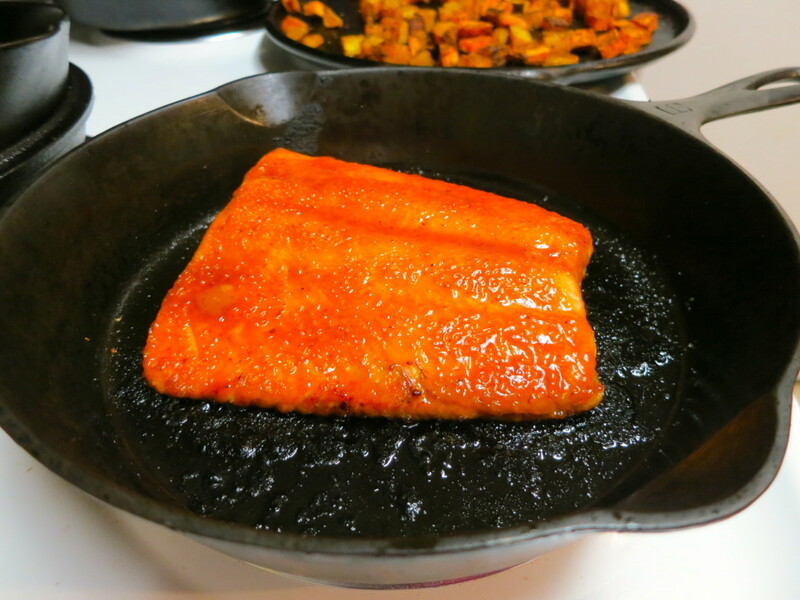 2 Responses to Pumpkin Butter Salmon – The Simplest Fall Recipe! So excited you’re back at it! Salmon looks yummy.